A brief prayer is offered that you can add to your daily prayers. The scripture is from our Sunday Service Bulletin. 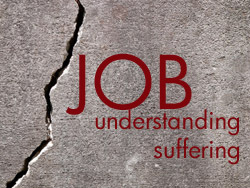 We are continuing on a multi-part series on Job. Some of the devotion thoughts were inspired by footnotes in the LSB (pp824-830) and fromwww.net.bible.org. 34 Then Elihu said, “If you have understanding, hear this; listen to what I say.17Shall one who hates justice govern? Will you condemn Him who is righteous and mighty,18who says to a king, ‘Worthless one,’ and to nobles, ‘Wicked man,’ 19who shows no partiality to princes, nor regards the rich more than the poor, for they are all the work of His hands? 20In a moment they die; at the people are shaken and pass away, and the mighty are taken away by no human hand. I will answer you and your friends with you. If you have been counting, this is Elihu’s fourth speech to Job. Last week in Chapter 33 we had the speech about God’s method of testing Job. In Chapter 34 he tells Job that as a mere human he should not be trying to dictate to God how He should act. [Job came perilously close to charging God with wrongdoing.] He makes the point that all of us [rich, poor, famous, or not] are all going to perish—God is in control. In 35 he tells Job that he is complaining so bitterly that he must not be a true believer, but as smart as Elihu seems to be he does not really know Job’s inner workings. Finally in 37 he describes the Majesty of God. In these four speeches Elihu has introduced a different reason for suffering: God has things to teach people that they can only learn through pain. It is apparent that Elihu thought of God as a teacher where the three friends spoke of Him as a judge. Elihu is telling Job to stop being so rebellious and obstinate; and he advises him to trust and submit to God as his Lord. This will prepare him for God’s saving grace. A good message from long ago that still applies--Our God is an awesome God! His ways are beyond our understanding. 1. Knowing yourself: Do you think God is more a judge or a teacher? Why? Do you have an “Elihu” in your life? ieved God was acting perfectly justly in allowing Job to suffer and that Job was insolent to accuse God of being unjust (v. 10). He then reviewed God’s character to illustrate His justice (vv. 11-30). Is Elihu saying that 1- God can do no wrong, 2-every living thing depends upon God for its being, and 3- God treats everyone according to a person’s behavior (v11)? Agree? 3. Application: Fear is a normal human emotion. Is the fear of death and judgement a “good” reason for trusting Jesus to save us all?